Megan is an angel today. She is not in pain. She has no regrets. She is a beautiful girl who in her short life struggled with addiction, with pain, with sadness. She had a child’s heart and understanding of the world. She could make you smile and loved to laugh. She could also make you cry and feel helpless. Because of her struggles she learned to appreciate a small kindness. When someone was nice to her or touched her in some way, she would tell me that people were good. When they didn’t she would say they didn’t understand her, but didn’t know why. She would always say that she didn’t choose to be the way she is. She would say, “I remember when I was little, it wasn’t like this.” I just want to be normal.” I would tell her that she was normal. She just had to work a little harder to be crazy like the rest of the world. Several years ago, Megan told me about one of her favorite books titled “The Shack”. She had asked me to read it, so I did. The main character in the story, struggles deeply with what the author called “The Great Sadness.” The prose pairs this sadness with a strong sense of loneliness. The main character had experienced a personal tragedy that causes him pain, regret, guilt and shame. Like Megan and other people with addiction, the tragedy causes the main character pain in a way only they can know. No one can help him or console him. He must make that journey on his own—with one exception. He has a God who is gentle, approachable, guiding and loving. A God not bent on making him feel guilty about mistakes or shortcomings, but suffers alongside him. I believe that like the main character, we all carry a great sadness to some degree. Megan did. It was part of what made her relate to and love the story. Although her journey was one of loneliness and sadness, like in the book it was also one of love and hope. After reading the book I talked to Megan about it. She told me that if more people read the book it, we would live in a nicer place. I’ve always tended to lecture my children. I think it as a paternal predisposition. I didn’t this one time. I ordered twenty copies of the book and handed them out to people I knew. I believe she was right. I will always miss my little girl. Words cannot describe the depth of pain and sadness in my heart. I cannot hold her, cannot comfort her or tell her that everything will by Ok. I cannot fix tomorrow for her. I will not see her again, not in life. But I do know that my memories of her are keepsakes. In time, instead of tears each one will bring a smile, a happy thought or even laughter. Megan is an Angel today. She is not in pain. She has no regrets. She is loved. 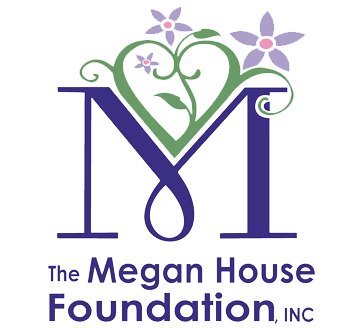 To the young women who live at Megan’s House today or will in days to come please remember that you are loved. Sometimes, the world can be a sad and lonely place, but remember you will never be alone. You do not need to feel guilty or shame because of who you are. You are our children and you are beautiful.